Looking for natural remedies that actually work? Natural Beauty is your resource for natural and organic products that give you the results that you want. Want healthy skin? Looking for clear skin without harmful chemicals? 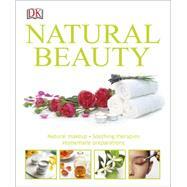 Natural Beauty is your guide to everything from home remedies to natural skin care products to essential oils. Natural Beauty makes it easy to understand organic skin treatments and makeovers. Browse the ingredients directory, discover natural remedies, and find recipes for homemade face masks and creams to try at home. This organic beauty and natural remedy resource has a huge variety of information, including healthy skin care products, how to make your own lip balm and homemade face masks, which natural deodorant actually works, and how to effectively use essential oils in your life. Natural Beauty even includes makeup tips for using natural, organic beauty products to help you get the look you want, even on a budget. Natural Beauty will be your guide to looking gorgeous and getting natural beauty that's sustainable, too.